When Ted Systead was fourteen years old, his father was dragged out of their tent and killed by a grizzly in Glacier National Park. Years later, Ted, now working as an agent for the Department of the Interior, must help investigate a crime that brings back painful memories. A man has been killed in Glacier National Park, mauled to death by a grizzly. In this new case, it is clear that the man’s death was no accident, in that he was tied to a tree, trussed up like a present for the bear. Ted tries to keep a clear head as he investigates, aiding local officials, but he has never really gotten over the death of his father and the new crime echos his past a little too closely. Ted perseveres, and the list of suspects grows. Can Ted keep his feelings in check as he considers the clues of the crime? Ted struggles to solve the mystery as the pressure from park officials mounts to come to a quick solution and spare the park the unfortunate publicity. 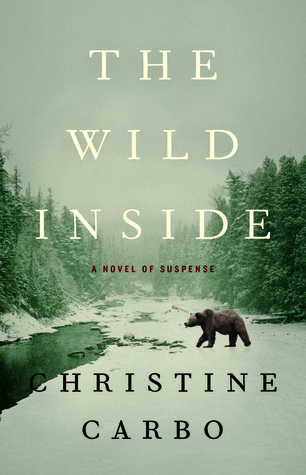 Set against the background of a wildly rugged natural setting, The Wild Inside is a complex tale involving an appealing protagonist. I enjoyed the story, though at times, Ted’s internal conflict took some of the emphasis away from the interesting mystery. This book will appeal to fans of C.J. Box’s Joe Pickett series, Craig Johnson’s Walt Longmire series, and Nevada Barr’s Anna Pigeon series. A promising mystery debut.